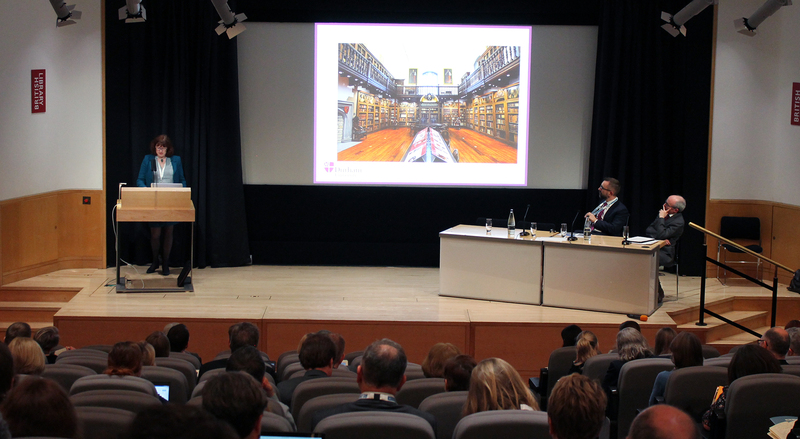 Last week saw our RLUK17 conference which, once more, took place, at the excellent premises of the British Library (BL) in London. 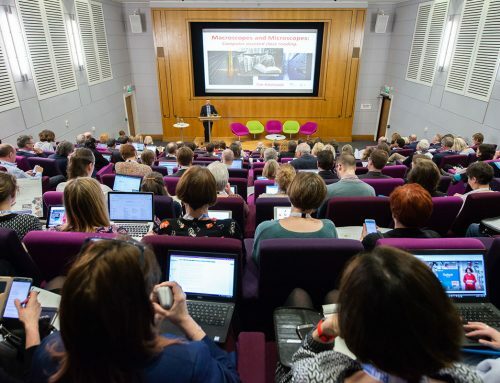 More than 150 professionals from the RLUK community and beyond came together for three days to discuss the future of research in the national and international landscape as well as the role of academic libraries in the Higher Education (HE) ecosystem. Caroline Brazier (British Library), our host, along with John MacColl (St Andrews University Library) and Claire Warwick (Durham University), our keynote speakers, opened the conference by reminding us of some of the core values and purposes of libraries, such as the commitment to accessibility, availability and openness of information as well as to the user. More specifically, after C. Brazier gave a flavour of the BL’s plan to make ‘everything available’ and called the audience to consider what we mean by ‘everything’ and ‘available’, J. MacColl talked about the idea of the ‘Research Library Commons’, a notion founded on the increased demand for access to information as well as the need to respond to common challenges faced by academic libraries in areas such as scholarly communication, collection development and research data management, through collaboration and trust. C. Warwick, on the other hand, focused on academic libraries as physical and virtual places, highlighting the value that the physical space still holds for different groups users and the need to better understand behaviour and cognitive interaction with conventional materials, such as books, in order to enhance the digital. Following, our first panel constituted by representatives of important global organisations in the area, such as LIBER, CARL and HathiTrust, and examined the case for collaboration at an international scale. It is worth mentioning that the matters raised by this panel were greatly related to the discussions that had taken place in the IARLA meeting the previous day in the context of the advancement and promotion of a shared understanding of common challenges faced by research libraries. More specifically, Susan Reilly (LIBER) reflected on the role of collaboration in libraries as an important criterion for ensuring sustainability of knowledge while, at the same time, stressing the issue of the, still, limited discussion around the preservation of outputs and the building of infrastructures that meet the different disciplinary needs in an efficient way. 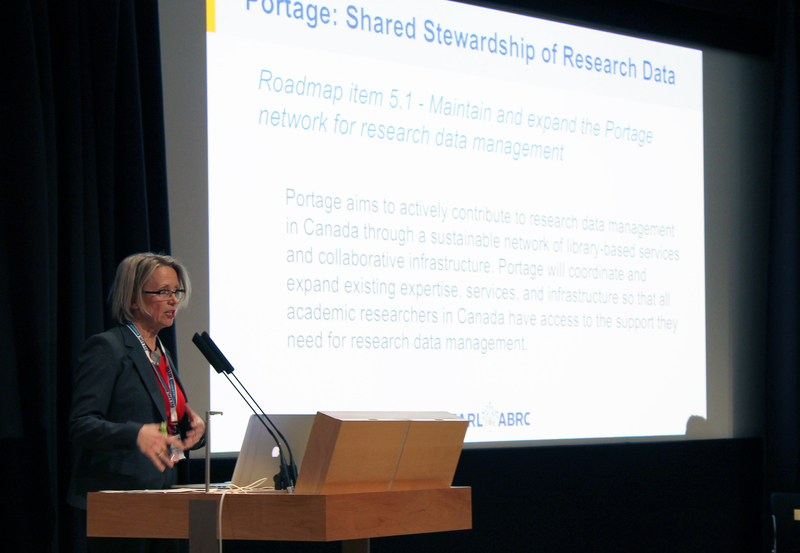 Susan Haigh’s and Martha Whitehead’s (CARL) presentation focused on the ‘CARL Scholarly Communications Roadmap’ to raise issues around open access publishing, community building and research data management (RDM). Finally, Mike Furlough (HathiTrust) talked about the organisation’s plans to increase access to its collections, maximising their potential for (re-)use in different contexts and for different purposes, such as data and text mining. 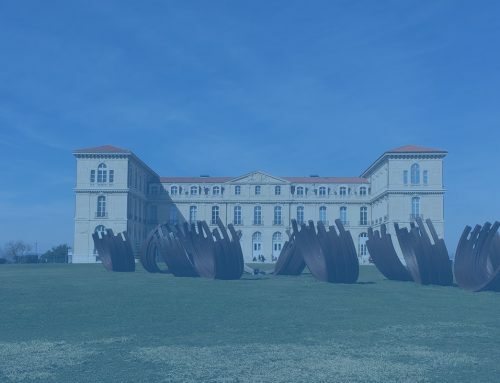 He argued, though, that overcoming problems caused by the different copyright regimes and accepting that preservation may entail loss of material are important parts in moving forward. A lovely dinner at the British Library closed the day, offering the delegates a great opportunity for further discussion and networking. 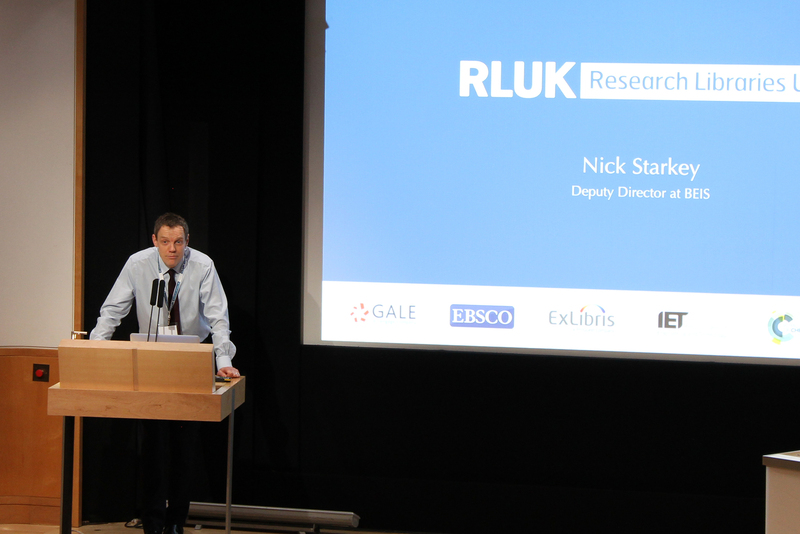 The second day kicked off with two keynotes by Nick Starkey (BEIS) and Nick Hillman (HEPI). Both talks discussed matters around the current political circumstances, especially at a national level, and their effect on HE, which were of high interest to the delegates. More specifically, N. Starkey talked about the government’s stance towards openness, emphasising the potential of this quality to drive innovation and improve quality of life, while N. Hillman focused on the current state of the HE and research bill and the way Brexit will affect universities. 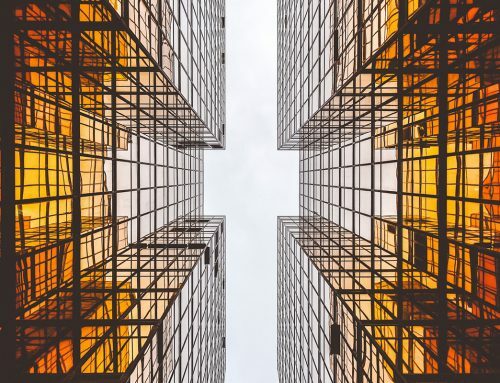 The panel that followed looked at how academic libraries are redefining their purpose and offer, a theme which to a great extent is linked to the swift changes that occur in the political, technological and economic landscape globally. Thus, the first speaker, Lynn Silipigni Connway (OCLC) stressed the value of libraries in these circumstances and highlighted the role of communication in achieving higher impact inside the university and beyond. Then, Torsten Reimer (British Library) provided a more detailed picture of the BL’s plans to make ‘everything available’ and the need for libraries to collectively take action towards openness and preservation of knowledge (including research outputs, software, and cultural heritage material), while always considering how to best meet user needs. An interesting example of a collective response to similar challenges was presented by Tracey Stanley (Cardiff University Library) who described how the HE libraries in Wales, along with the National Library of Wales, joined forces to implement a shared library management system. 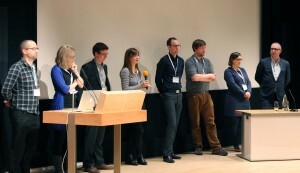 Part of the afternoon was devoted to the presentation of projects and ideas in Pecha Kucha style; the topics of the short talks ranged from scholarly publishing to library technology and were excellently pitched by everyone who took part. It is worth mentioning the winning presentation (as there was also a prize involved!) 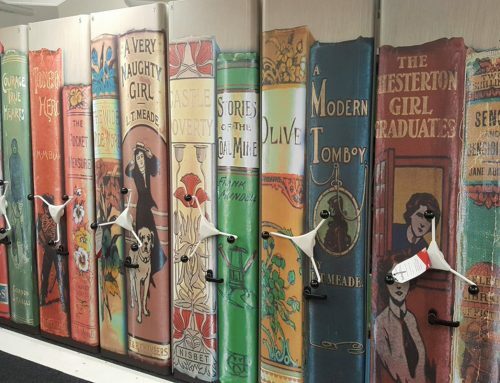 by Neil Stewart (LSE Library) which was based on the LSE Library’s project ‘Charles Booth’s London’. The final part of the day involved hands on work in the context of various workshops looking at scholarly communication, staffing in research libraries, issues concerning the ‘voice’ of the libraries, text and data mining, and special collections. The last day of the RLUK conference aimed to explore matters around the role of libraries in driving innovation and change in areas ranging from technology and infrastructure to diversity and equality. For example, Patrick McCann (St Andrews University Library) explained how new roles have been created (Research Software Engineer) to meet technological needs and help drive innovation in the library, whereas William Nixon (University of Glasgow Library) used the recent library’s refurbishment project to discuss whether a ‘marginal gains’ or a ‘big bang’ approach can facilitate change and innovation more effectively – the answer was that no one solution fits all. Lastly, Masud Khokhar (Lancaster University Library) looked at the position of libraries in a technological future, discussing issues around digital leadership, technological creativity and co-operation. After two days of considering what the future of research may look like from a political, economic, and technological perspective and how academic libraries may position themselves within this, it was necessary to look at the social factors that constitute part of this landscape. Thus, the conference closed with two thought-provoking talks, very eloquently delivered by our last keynote speakers, Darren E. Lund (University of Calgary, Canada) and Kalwant Bhopal (University of Birmingham), who addressed issues of diversity, equality and social justice in education. 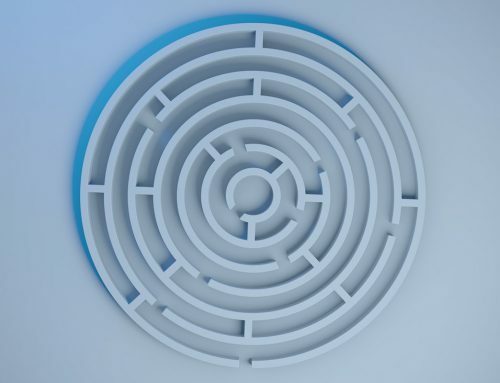 D.E Lund, in particular, argued that in order to achieve institutional change we need to address the issues of privilege, identity and diversity through careful planning and consideration. K. Bhopal, on the other hand, focused on the experiences of minority ethnic groups in HE institutions and called for action to ensure that the rights of these groups are not overlooked; it is only by embracing diversity in HE institutional planning and policy making that we will truly achieve change and innovation in the future of research. Many thanks to everyone who participated at the conference and made it such a great success! Presentation videos from RLUK17 can be viewed on the conference website.